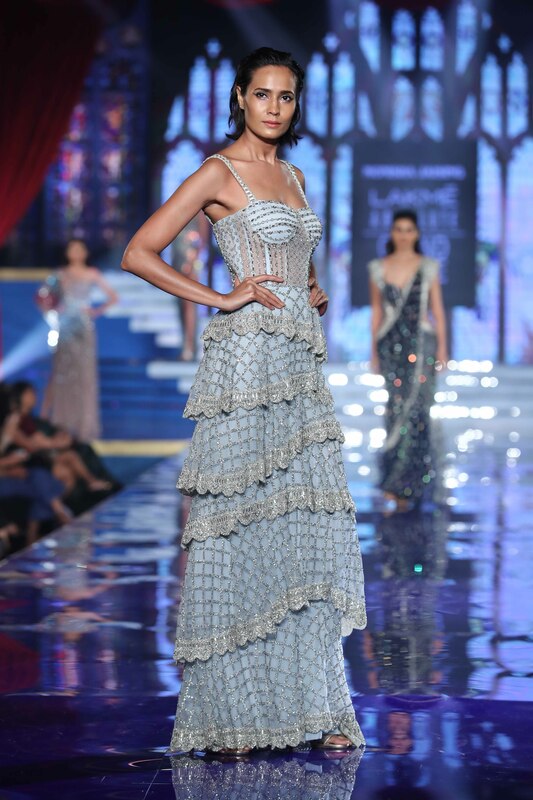 Internationally acclaimed fashion designer Rahul Mishra showcased a celebratory collection at the autumn/winter 2019 edition of Lotus Make-Up India Fashion Week (LMIFW), during which he looked back on his decade-long journey in fashion. The metamorphosis of the Artist from the Physicist. Unlike other designers, Rahul discovered his love for design at a later stage in life. Growing up in the sleepy village of Malhausi in the North of India, Rahul was set to become a Physicist after he earned his degree from Kanpur University. A turning point in his career was when he signed up for a postgraduate degree at a design school in Ahmedabad. Here he found his true calling. He made his national runway debut in 2006 and in 2008 Rahul launched his own label in Mumbai. 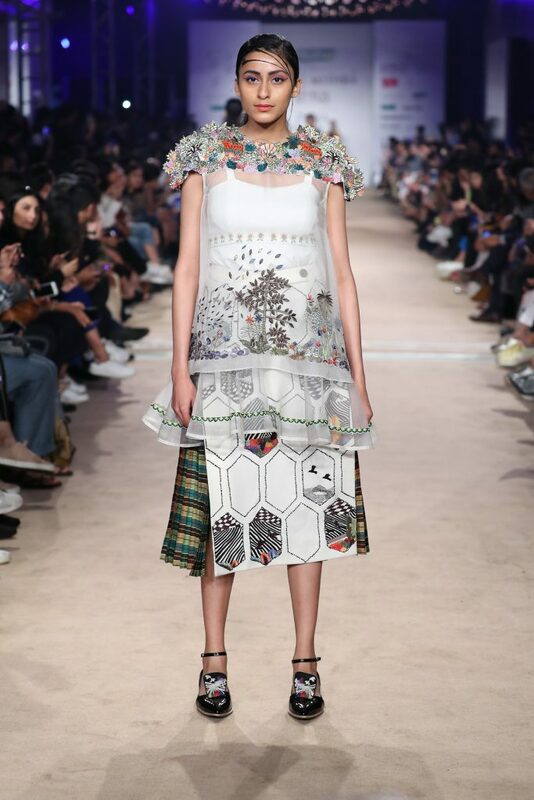 His international career took off after winning the International Woolmark Prize in 2014, a competition for emerging design talent. A great honour, as he was the first Indian to win this prestigious award. In 2015 Mishra made his grand debut at Paris Fashion Week, where he is now a regular on the fashion calendar. Mishra combines age old-crafts with contemporary style. He collaborates with skilled craftsmen and artisans from different Indian regions to make his designs come to life. Mishra beliefs in fashion that serves a greater cause. Which is the reason why he is making a statement when it comes to sustainability. A few years ago the Physicist turned artist also metamorphosed into a father. With his daughter he spends a lot of time exploring nature, a great source of inspiration. 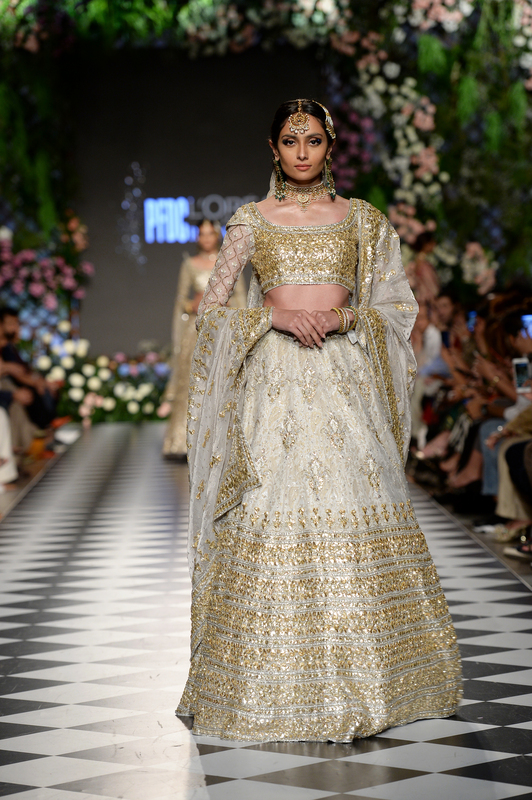 10 Years of Rahul Mishra: Retrospection. Metamorphosis. Reinvention. 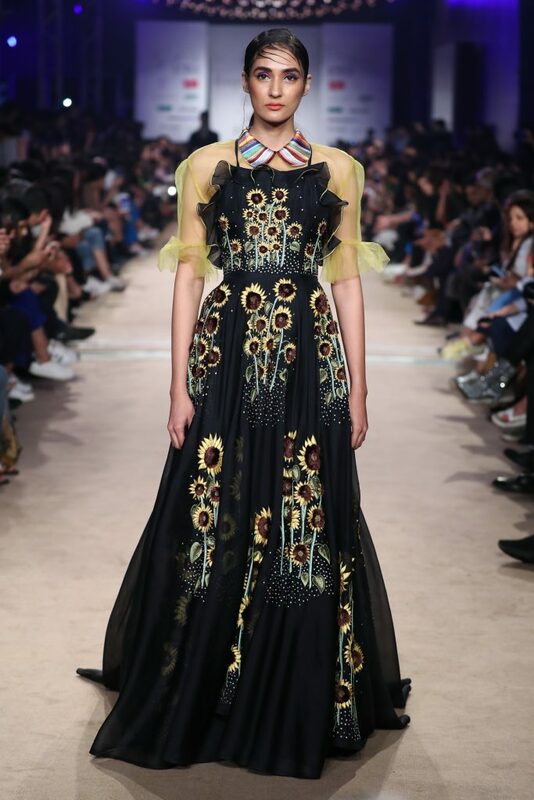 This collection also paid a tribute to embroideries. It’s an interplay between architectural silhouettes, vibrant colours as well as prints and motifs inspired by the beauty of nature. From what I see, Dutch artists also hold a special place in Mishra’s heart. He has used their work as inspiration more than once, from the visual illusions from M.C. Escher to the sunflowers of van Gogh. Check out the gallery for my personal highlights.